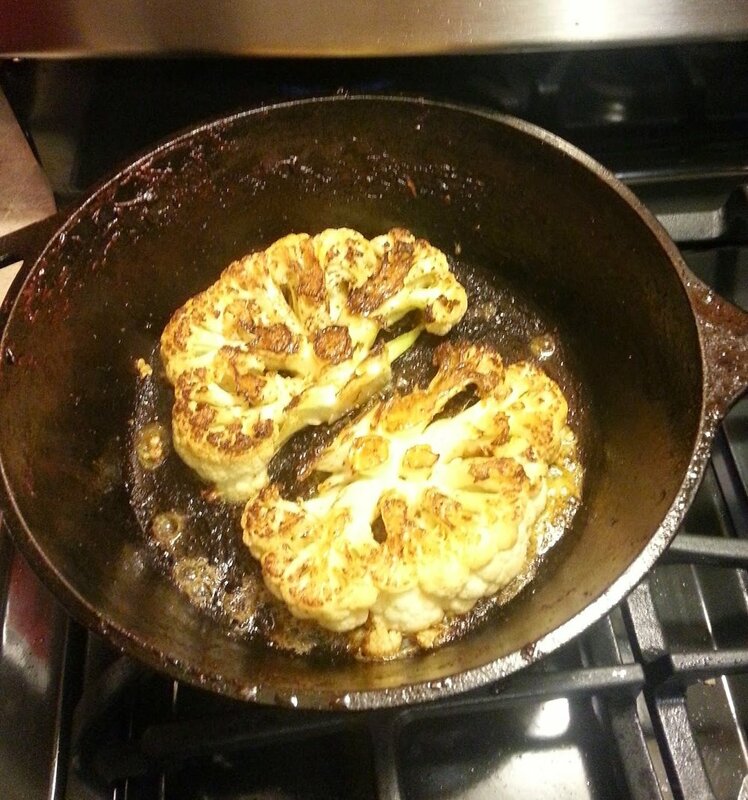 Cauliflower is a cruciferous vegetable that is packed with vitamins, minerals, phytonutrients and fiber. Digestion and detoxification is aided by the fiber and sulforaphane present in cauliflower which keeps the H.pylori populations in check. This recipe accentuates the anti-inflammatory and anti-cancer properties by combining tumeric and cauliflower. As well as containing vitamin K, protein, thiamin, riboflavin, niacin, magnesium, phosphorus, fiber, vitamin B6, folate, pantothenic acid, potassium, manganese, cauliflower also benefits the brain with B vitamins. 1 head of cauliflower sliced into 1 inch thick "steaks"